What is your definition of cozy? Does it involve plush blankets, warm sweaters, and lit candles? Maybe a fireplace or piles of quilts? I’m betting whatever your picture of cozy looks like, it involves a hot beverage. 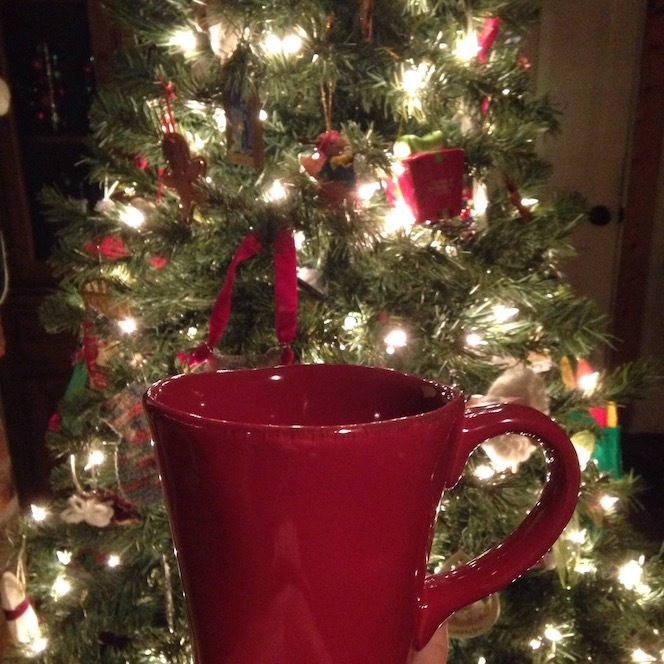 There is something inherently cozy about wrapping your hands around a cup of hot tea, or steaming coffee. Or, maybe you prefer hot chocolate. These shorter, dark days of winter when the frost nips around the window panes and snow flies through the air are perfect for hot chocolate. If you can’t get your hot chocolate from a packet due to dietary restrictions, or you just want to treat yourself to something a little more indulgent, have a go at this recipe. You won’t be disappointed. I promise. Heat your milk or non-dairy milk alternative. You can use a small saucepan over low heat on the stove, or stick your measuring cup right in the microwave. My machine takes about 2 minutes. Wisk your milk or non-dairy milk alternative into your dry ingredients. I like to use a fork. Make sure you stir it up well to avoid clumps. Add in any desired treats: mini marshmallows, mini candy canes, a small splash of stress relief. Definitely one of my favorites…we use Ovaltine and whole milk. Of course, whip cream and marshmallows are also an important part.